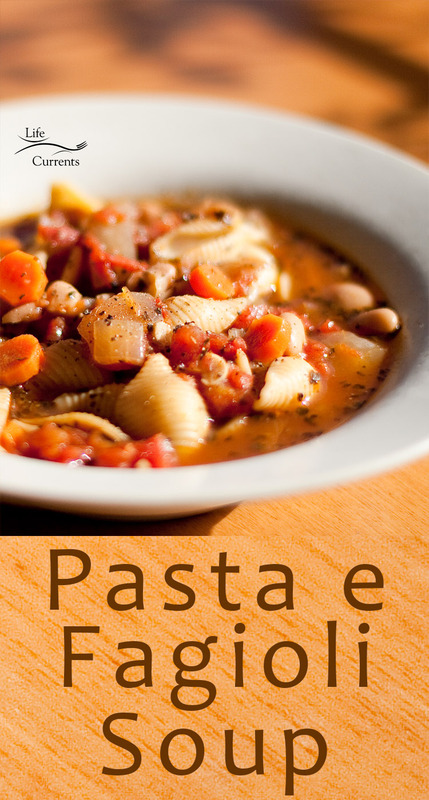 Pasta e Fagioli, means “pasta and beans”. It’s a traditional Italian dish. Pasta e Fagioli is a great budget-friendly meal that you can serve simply with a nice crusty bread or get a little creative with it (maybe with the leftovers) and try adding some frozen mixed veggies or toss in some leftover meats or proteins to change-up the colors and textures. For the pasta, use any small shapes that you like. Stars would be really fun! Small shells work well. Small macaroni. Any shape you like or any shape you have in the cupboard! In a large heavy pot, heat olive oil over medium-high heat. Add onion and cook until onion begins to brown, about 20 minutes. Stir in garlic and carrots and cook for 3 minutes. Add dried basil, oregano, and red pepper flakes and toss to coat. Stir in tomatoes, broth, and water and bring to a boil. Reduce heat and simmer for 30 minutes. If necessary, add an additional cup of broth or water and stir in beans and pasta. Simmer for 8 to 10 minutes or until pasta is tender. Serve hot with grated Parmesan cheese and ground black pepper.